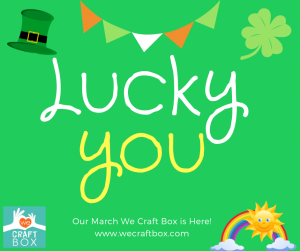 St. Patrick’s Day Brought Us Luck and a New We Craft Box! 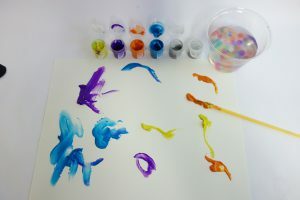 This March, we took a trip to Fergus McGee’s Colorful World! 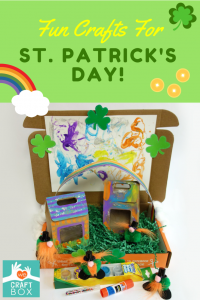 With a bit of luck, We Craft Box was able to give the kid’s some fun crafts to do and the family was able to spend quality time together. 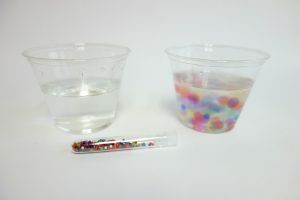 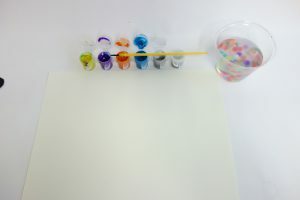 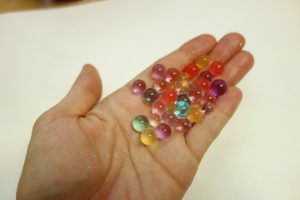 The special art material for this month were colorful water beads! 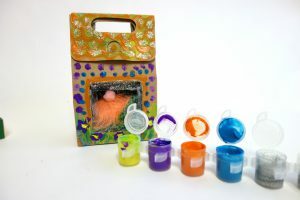 When we began our adventure to Fergus McGee’s Colorful World, we got to construct our own Wee Houses! 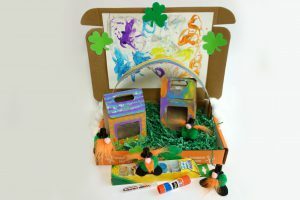 Fergus McGee and his friends are sure to come marching into this colorful world with these precious houses. 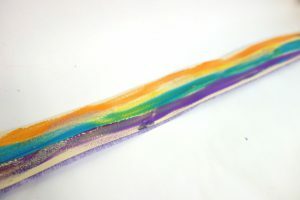 The next addition to this colorful world is the rainbow scene! 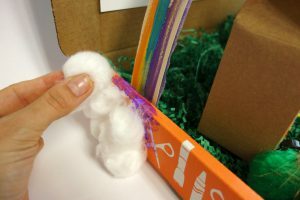 We are excited to see what we find at the end of this rainbow. 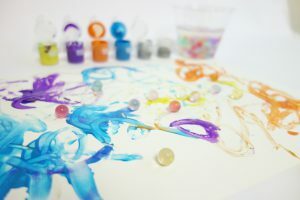 The beads were great for sensory play and they helped spread the paint around to make a pretty backdrop for Fergus McGee’s Colorful World. 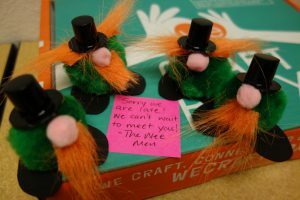 I can hear them coming! 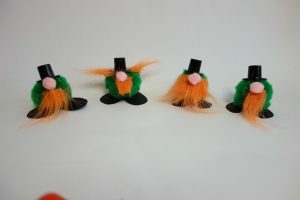 Fergus McGee and his wee friends are marching into their colorful world to see what is at the end of the rainbow. 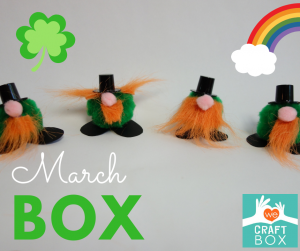 The last part of this box was to add the finishing touches to Fergus McGee’s and his wee friends home! 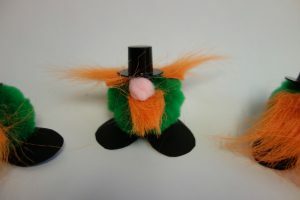 With a few shamrocks here and there, Fergus McGee’s Colorful World is complete! 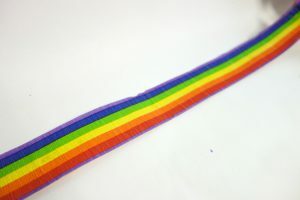 At the end of the rainbow we found some happy smiles and great family time! 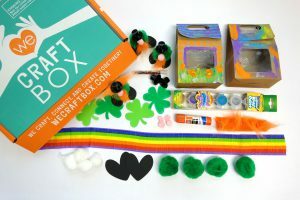 That is the best treasure to us here at We Craft Box. 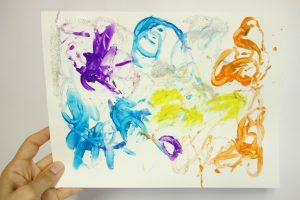 Previous Previous post: Owl You Need is Love! 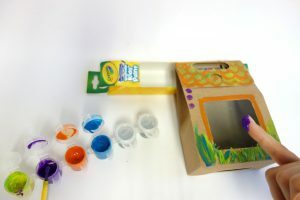 Next Next post: April Shower’s Bring a New Craft Box! 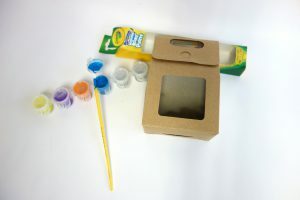 If you like what we do, order our monthly craft box for kids. 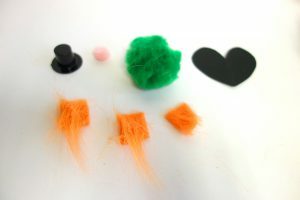 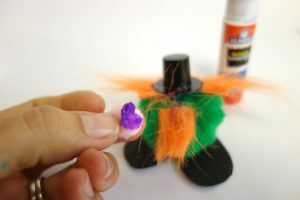 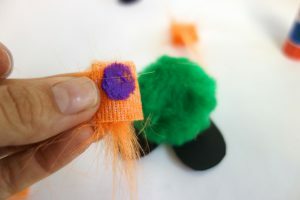 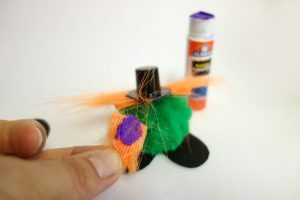 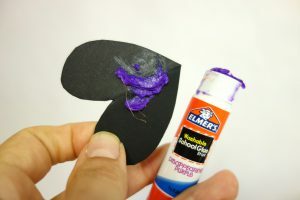 Follow our blog for lots of fun ideas for activities and crafting together though the month.